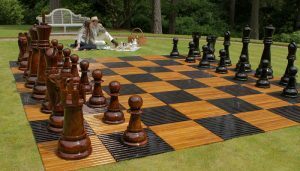 If you thought that there was only one major chess championship, prepare to be amazed! 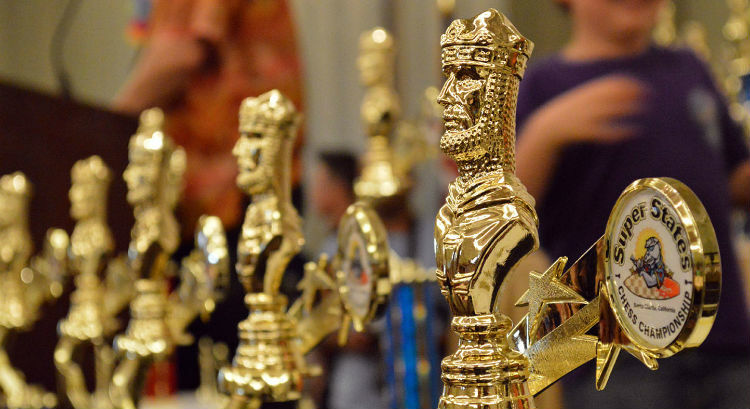 Chess Championships are a huge part of competitive chess culture. They determine who the world’s best players are, as well as who gets to have bragging rights for the next year to come. They’re kind of like the Olympic Games of chess. But beyond that, many chess championship titles carry a large amount of prestige – not to mention a substantial sum of award money. Different things motivate different players, but it’s safe to say that the cash prizes certainly help! Some players and spectators look forward to and train for these events all year long. There are a multitude of different chess championships out there, all varying in size, popularity, and seriousness. 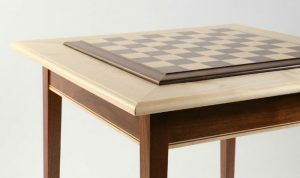 There is undoubtedly a championship for almost every variation of chess, including speed chess, chess960, and other more “zany” variations. This article will focus on the four most prestigious, highest-level chess championships that attract the strongest players. 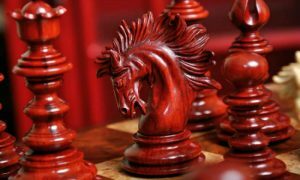 These four championships are some of the most well known championships in the chess world, and any champion of these events will become an instant celebrity almost overnight, if they’re not already a known player. Winning any one of these championships can change a person’s life for good. 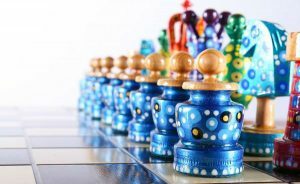 The World Chess Championship is perhaps the single most well known chess championship in the world. If you thought that there was only one chess championship, then this is more than likely the one that you were thinking of. Previous champions of the World Chess Championship include such famous players as Bobby Fischer, Boris Spassky, Anatoly Karpov, Garry Kasparov, and, more recently, Magnus Carlsen. The WCC has been in constant operation, in one form or another, since 1866. 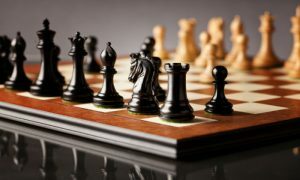 Though it has undoubtedly changed a lot in that timespan, the spirit of the competition remains the same – to determine the world’s best chess player among a sea of strong competitors. The WCC has had its share of scandals, but has adjusted itself each time. For example, in the 1962 Candidates Tournament, several players from the Soviet Union colluded to draw all of their games against each other, running up the time on the chess clock, but eventually ending in stalemate, so as to save their mental energies for games against non-Soviets. When this collusion was discovered, the championship was changed from a round-robin tournament style to a series of elimination matches to prevent any further chance of collusion. 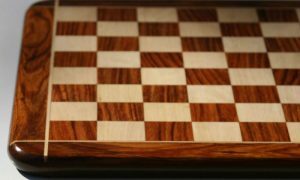 In 1993, controversy struck again when top player Garry Kasparov accused FIDE, the organization that runs the WCC of corruption and split off to run his own chess championship match under the Professional Chess Association. The two ran their tournaments side by side until the PCA folded in 2006 and the WCC winner once again became the undisputed international chess champion. The World Senior Chess Championship is a smaller championship open only to chess players over the age of 50. It awards 4 champion titles each year in the following categories: Male 50+, Female 50+, Male 65+, and Female 65+. This championship is organized as an eleven-round Swiss system tournament, which is a non-eliminating tournament style in which every player does not play every other, but is instead matched with certain players of similar skill. It is an open tournament, and there is no cap on how many participants may be included. The two male winners of this tournament are awarded the Grandmaster title, if they did not already hold it, and the two female winners are awarded the Woman Grandmaster title, if they did not already hold it. The Woman Grandmaster title represents an Elo rating of 2300, about 200 points lower than the unqualified Grandmaster rating. Currently, the oldest winner of any World Senior Chess Championship is Viktor Korchnoi, who won it in 2006 at 75 years of age. In the latest championship match, the men’s title came with an award of 3000 Euro, while the women’s title had a 700 Euro prize. The disparity between the treatment of male players and female players in this tournament remains unexplained. On the other end of the spectrum, we have the Junior Championship for chess players under the age of 20 that have only just gotten their hands on a chess board. This tournament often offers spectators a glimpse at the future of chess and an introduction to the newest up and coming players. Each FIDE member nation may select one young player to represent them in the tournament, except for the nation hosting the event, which may select two. The winner of this championship is automatically awarded the title of either Grandmaster or Woman Grandmaster, while second and third place finishers receive the title of International Master or Woman International Master. So far, four winners of the World Junior Chess Championship have gone on to win the World Chess Championship. Those four champions are Boris Spassky, Anatoly Karpov, Garry Kasparov, and Viswanathan Anand. This WJCC began in 1951 as the pet project of William Ritson-Morry. The first tournament was held in Birmingham, England. The championship occurred every two years until 1973, when it began to happen annually. That pattern has been maintained to the present day. In 1983, a separate Junior tournament only for girls was introduced, though the exact reason for this is unclear. The Women’s World Chess Championship is yet another subset of the original WCC. This tournament is only for women, though, interestingly, women are not barred from competing in the unqualified World Chess Championship. The WWCC was established by FIDE in 1927 as a single tournament. Notably, the winner of the WWCC did not have access to the same rights as the men’s champion – she instead had to defend her title each year by playing just as many games as any of her competitors. 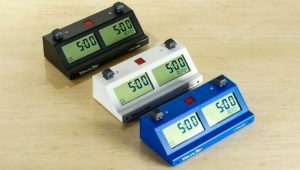 The current WWCC follows an odd system whereby a 64-player knockout system is used in even numbered years, and in odd numbered years, a standard match between only two players is held. It’s a very confusing system, but no one seems to be very interested in fixing it. All of these different chess championships each crowning their own championships leads to quite a lot of different chess champions in any given year. Some are more respected than others, though. Without a doubt, the winner of the World Chess Championship is considered to be the best chess player in the world for that year, and the undisputed champion of chess. Still, the variety of championship matches that take place can help to stretch the excitement and give spectators something to watch after the anticipation of the WCC has come and gone.